Women entrepreneurs don't have the same kind of networks as men. Enter women investors. The next time you're down with the flu, don't bother waiting for hours in the emergency room. Instead, launch an app on your phone, and a nurse will show up at your house within the hour. That's the idea behind a new startup called "Nurse at Your Door." It's the brainchild of two women: Kelly Rosenberry, who has been a nurse for nearly 30 years; and Susan Dost, who has operated an in-home care service for the elderly for 15 years. They envision an on-demand health app that links people up with licensed nurses in their area to treat non-emergency conditions. Think Uber, but for your health. "We want to make it available to everyone. We know there's a market out there," Rosenberry says. "Using an Uber-style model will streamline our services significantly." They have been beta testing the app and making some private home visits, but in order to fully realize their vision, they will need funding to build out the app and to recruit nurses. Additional capital will help them secure a home health-care license that will put them on the fast track to a successful launch. "It will help us to get traction, and we will be able to get a lot of nurses on board to connect with patients," Dost says. Susan Dost and Kelly Rosenberry are launching the startup "Nurse at Your Door." Women are setting up new businesses at a fast clip across the country. Almost 900 new women-owned firms are opening up every day, according to the 2015 State of Women-Owned Businesses Report. The number of employees at women-owned firms has grown faster than employment at other privately held companies; women-owned firms have added an estimated 340,000 jobs since 2007. However, even though women are the majority owners of 36 percent of all businesses in the United States, companies with a female CEO received only 3 percent of total venture capital dollars during 2011-2013, according to the Diana Project, a Babson College study of women entrepreneurs. That lack of funding is puzzling, especially when studies show that companies with women on the executive team are more successful. The venture capital firm First Round Capital found that in 10 years of investing in 300 companies, their investments in companies with a female founder performed 63 percent better than their investments with companies that had all-male founding teams. McKinsey & Company found that companies with the highest proportion of women in top management had earnings that exceeded the earnings of companies with all-male executive teams by 56 percent. "Companies with more women in leadership positions outperform companies with no gender diversity," according to Jeri Harman, founder of the private equity firm Avante Mezzanine Partners, which manages $468 million in assets, and invests $5 to $25 million in mid-size companies. "What's strange is that women-led companies still have trouble securing the capital they need to scale up." Why aren't women-led businesses getting the funding they need? "At the end of the day, investing is a gut reaction, and since most venture capitalists are men, it's harder for them to get that gut reaction to a female-led business." says Lisa Tsou, founder of The Winning Pitch, who has spent time on Wall Street working on financings for companies like DoubleClick, TheKnot.com, and Mapquest; she now works with startups and early-stage entrepreneurs to help them perfect their pitches to investors. The answer lies in more women becoming investors, according to Tracy Gray, founder of the 22 Capital Group, an international business investment and advisory firm. Before that, she was a business strategist for the office of former Los Angeles Mayor Antonio Villaraigosa. "We need more women investors to have more capital going to women, because we can't just wait for men to do it," Gray says. A small but growing number of women are becoming investors. Although fewer women are becoming partners in venture capital firms, more women are becoming angel investors and fund startup companies in exchange for ownership equity. Angel groups often will give businesses advice and nurture the startups they fund. In the United States in 2013, women represented 19.4 percent of angel investors; this is a significant increase from the 12.2 percent just two years prior, according to the University of New Hampshire's Center for Venture Research. One of the best known early-stage investment groups that focuses on funding women-led businesses is Golden Seeds, which has invested more than $80 million in more than 76 companies. Golden Seeds holds monthly open "Office Hours," where companies sign up to meet one-on-one with investors for 15 minutes, and get feedback on whether they are ready for institutional funding. Kim Kovacs is the managing director of the Southern California branch. "It's a really great way, in a very noncommittal sense, to meet with entrepreneurs and see if they're ready," she says. "We find a lot of people have great ideas, or are just starting the process, but they're not ready for that first real institutional funding round. We want them to be successful when they come to Golden Seeds, so we use this as that platform." Most of the companies that Golden Seeds invests in have come through Office Hours, Kovacs says. "We really like solid businesses, because we invest pretty early. Often, this may be the only capital these companies ever need." Other well-known angel groups include Astia Angels, Pipeline Angels, Springboard Enterprises, Pasadena Angels Inc., Tech Coast Venture Network and many others. 1)	Ask customers what they actually want. "I think a lot of entrepreneurs miss that customer step," Kovacs says. "I just see this over and over with companies. They have to talk to enough customers, and know what it takes to close them." Kovacs speaks from experience. She started an accounting software company in 2006, when a regulatory change crippled the existing software that helped private companies manage equity and stock-option plans. She saw a need and approached several accounting firms who worked with these companies. "I said, 'If I build an application and software that will solve this problem for you ... will you buy it and use it?'" Kovacs says 15 companies agreed, and by the time she went before investors for funding, she already had a solid customer base lined up. 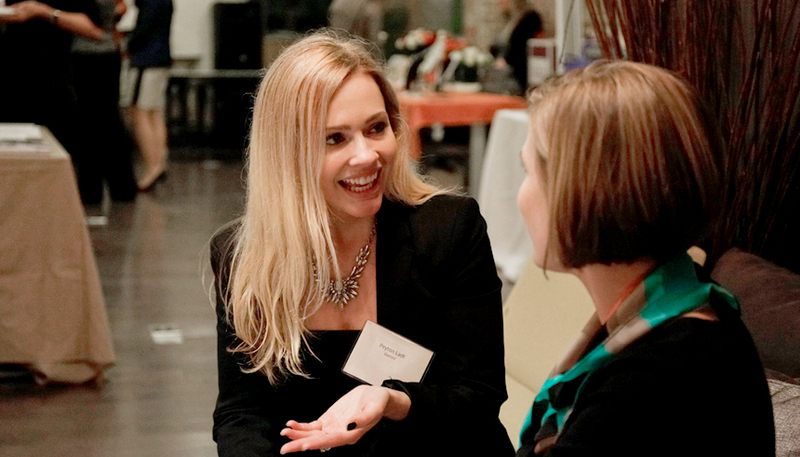 "When looking for investors, it is important to meet a lot of people, share your opinions, showcase the skills that qualify you to lead, pitch your business and what problem you are solving and let everyone see your passion," says Kristy Wallace, president of Ellevate Network, a global professional women's network that hosts in-person networking events and online workshops. 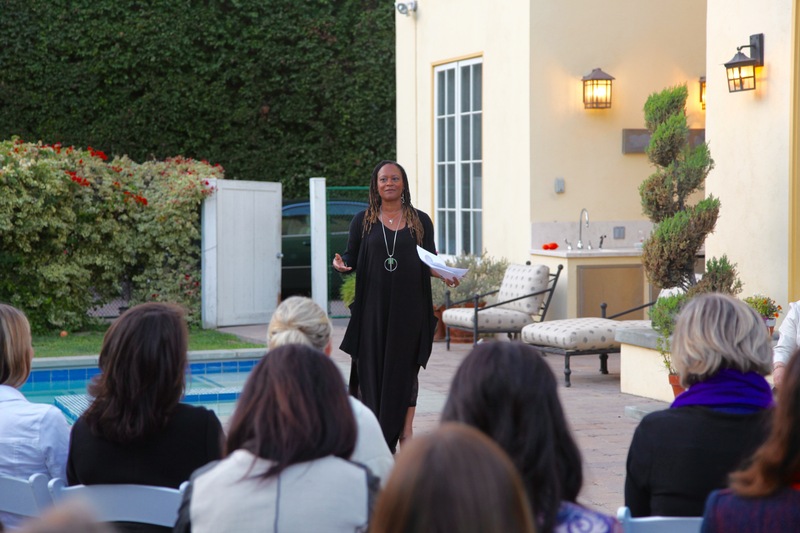 "Go to networking events for entrepreneurs, people in your industry and women. Practice your pitch and make sure that it is clear and concise." When Gentry Lane, an Ellevate executive council member, first founded the virtual reality studio TDO Productions, she made sure to meet all the venture capitalists in town in case she ever needed growth capital for her business. "Venture capitalists never invest in people that they don't know, ever. You don't give money to people you don't know. There's a due diligence process, and there's also a relationship building process... the goal is to make friends with people and watch the relationship grow." Gentry Lane, founder of TDO Productions, which produces virtual reality content for social good campaigns. Wallace says that women tend to approach networking differently than men do. "We look to make natural connections and to build the relationship over time, where men are more aggressive and, in some instances, more strategic - looking for the connections that are the most advantageous versus a natural fit. So I wouldn't say that women aren't good at networking. I'd say that we simply network differently," Wallace adds. 3)	Put your best foot forward: Don't be afraid to brag about your accomplishments. Tsou says women entrepreneurs need to understand what investors value most, and bring those values front and center in their pitches. She has seen women entrepreneurs leave out strong revenue figures, cash flow and an existing customer base in their investment pitch decks, or their experience with launching big-budget products. "Truthful bragging is good," Tsou says. The Ewing Marion Kauffman Foundation found that women-owned firms tend to be smaller and less growth oriented. Among high-growth firms, women usually account for less than 10 percent of the founders, according to the foundation. Harman encourages women to think bigger down the line. "There's a tendency among many women to be a little more risk averse, and many set conservative goals. But if you don't stretch for it, you're not likely to get it," Harman says. "It's about thinking big. You've got to think about scaling up and stretching." Harman speaks from her own experience. She had to raise large amounts of capital to start Avante Mezzanine, which invests in medium-sized companies, including women-owned businesses. Most recently, she closed on a second round of funding of $250 million from various investors, including East West Bank. "Sometimes you just have to take the risk and say, I can do it. I can learn that, with the support of other people," Harman says. "Persistence and patience are very important. It's a marathon, not a sprint. Don't take rejections personally, and it's always good to ask for feedback so you can learn and adjust." 5)	Be creative when fundraising. Tsou advises women entrepreneurs to look at various sources for funding, especially if the business is not suitable for venture capital funding. "What are alternative sources? Is crowdfunding an option? How about other partnership money, from customers or other businesses or vendors who can provide financing? What other businesses benefit from you, and can you get investment from those businesses in some way?" Tsou asks. You don't need to be rich in order to become an investor, according to Gray, who encourages women in a Tedx Talk not only to donate to charities but also to think about investing. She has formed We Are Enough, a group that provides education, resources, and events to increase the number of women investors. "You're already giving money away, so you're not expecting a return from that money. So why not take a little more risk and put it into a business, where you can get a return, and have greater impact?" There are different ways to invest in women, at different levels. If you already invest in stocks and mutual funds, you can start investing with a "gender lens," which means choosing investments that support women's leadership, access to capital, and products and services that are beneficial to women and girls. The options range from mutual funds, stocks and bonds to portfolios. The Veris Wealth Partners white paper highlights many of these choices. For high-net-worth individuals, Golden Seeds and Pipeline Angels hold classes on how to become an accredited angel investor. Female Funders offers online education videos for aspiring angel investors. A group called SheEO is getting 1,000 women to commit $1,000 in cities around the country and will loan the money to 10 women entrepreneurs in each city. "Do your research to understand the requirements, risks and terms," Wallace says. "As an investor, you'll want to be passionate about the company where you are investing your money and, in some cases, your time and knowledge, too." "Look in the mirror. You're an investor. And we need more of you," Gray says. Nurse at Your Door has done the prep work, and now the company is looking to go after seed money and meet the right investors. The founders have finished their investor pitch deck and have participated in pitching competitions with Women Founders Network, attended pitching workshops at the Los Angeles Venture Association, and networked to find the right consultants and lawyers. They attended Golden Seeds' Office Hours to get feedback. "We're really keen to get in front of as many people as we can, bounce our deck off vetted professionals, and refine it before we go in front of someone who's sitting there with a checkbook," Rosenberry says. "We've got a lot of excitement around it, we've got people who are clamoring to see our deck, we've been very patient and methodical about our business model," Dost says. "We're going to be trailblazers." This article first appeared on Reach Further, East West Bank's digital news magazine for entrepreneurs.